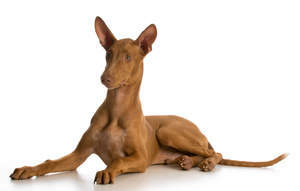 The Pharaoh Hound originates from Egypt and dates back centuries. It has changed little over the years, but was used as a sight/hunting hound and still carries those traits today. 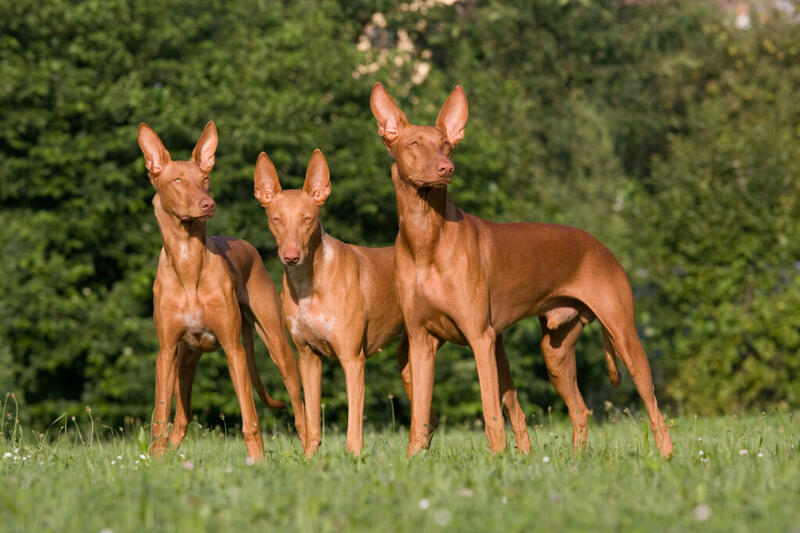 The breed was exported to Malta and soon became popular with locals for it's ability to hunt rabbits. It is now the Country's National dog. 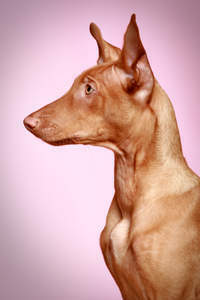 The breed is unusual as it can blush when excited, or happy and they like to smile. The Pharaoh Hound is well suited to family life and fits in well with most situations. They love attention from people and will actively seek it. 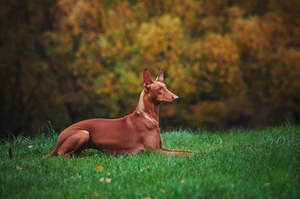 They are fine with children and larger dogs, but cats, small pets and smaller dogs can sometimes be treated like prey. If they are introduced as puppies this shouldn't be a problem for most. They can be reserved with strangers and some are very timid, so introducing them to as many people as possible when they are young will help. They need as much social interaction as possible when young to get a well balanced dog. They are playful and can get up to mischief, but this is part of their endearing quality. They are clowns who like to get your attention. Pharaohs are sensitive to their surroundings and dislike any form of confrontation between people. Pharaohs likes to chase things. 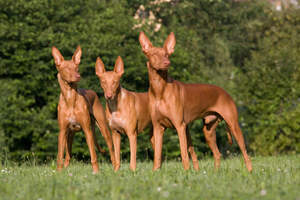 That is what they were bred for, so walks should be in a safe area and on a lead. 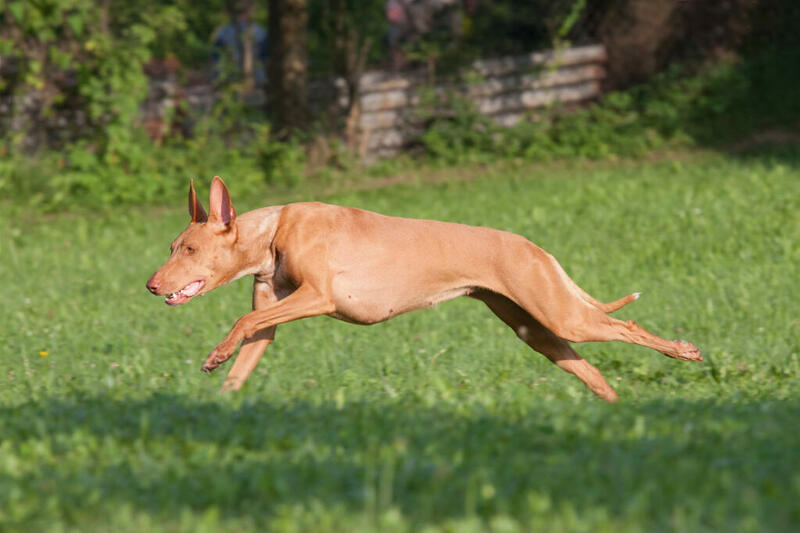 No matter how well trained you think your hound is, if they spot something (and they will), they will shoot off like a rocket. They have serious stamina and will chase for miles, completely ignoring your frantic calls. They are able to jump fences and dig under them. They have excellent hearing too and will often bark in response to a noise that you haven't heard. They make good jogging partners. They are clever, but will often feint intelligence to get their own way. Training is relatively straight forward, but recall is not. Kind, reward and play based training works best, as they will retreat if they receive harsh words or treatment. They do well in agility and lure coursing, but any excuse to get outside and run and they will be happy. They need a fair amount of exercise every day. With their slight frame and thin coat, Pharaohs dislike the cold. They will need a winter coat on cold days and very soft bedding/duvet to sleep on. They will find the most comfortable and warmest place to sleep (your bed) if they aren't happy with the arrangements you have made. The coat is low maintenance, but will need brushing every so often. The skin is thin and prone to cuts and scrapes. 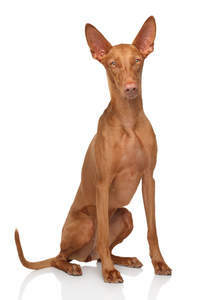 They are very sensitive to anaesthesia and some are prone to allergies and skin rashes. Generally a very healthy breed. The Pharaoh Hound has a graceful and independent temperament. 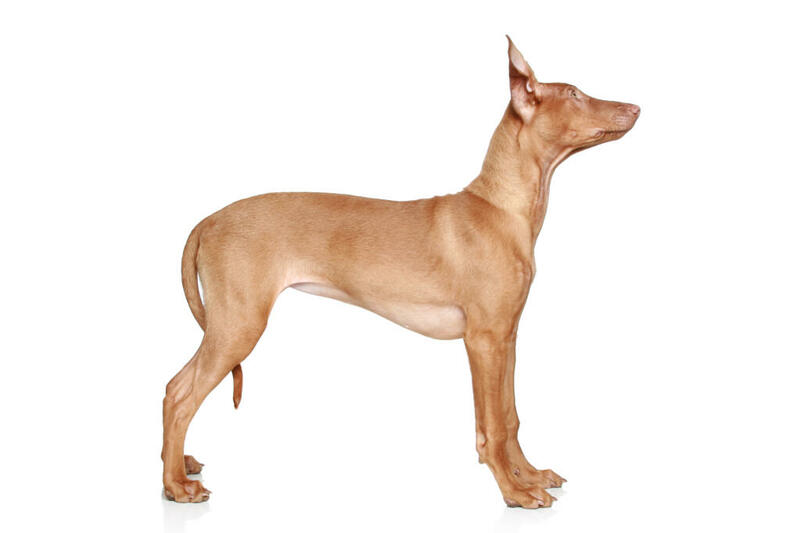 This well defined and clean cut dog has immense athleticism with strong hunting instincts. This combination can make them difficult to walk off the lead as they love to chase and hunt anything they hear, see or smell. Big softies in the house they love the home comforts of a soft warm bed to curl up in. They are good with children and other dogs although they probably couldn't care less about meeting them. Hunting instincts make them difficult with cats. 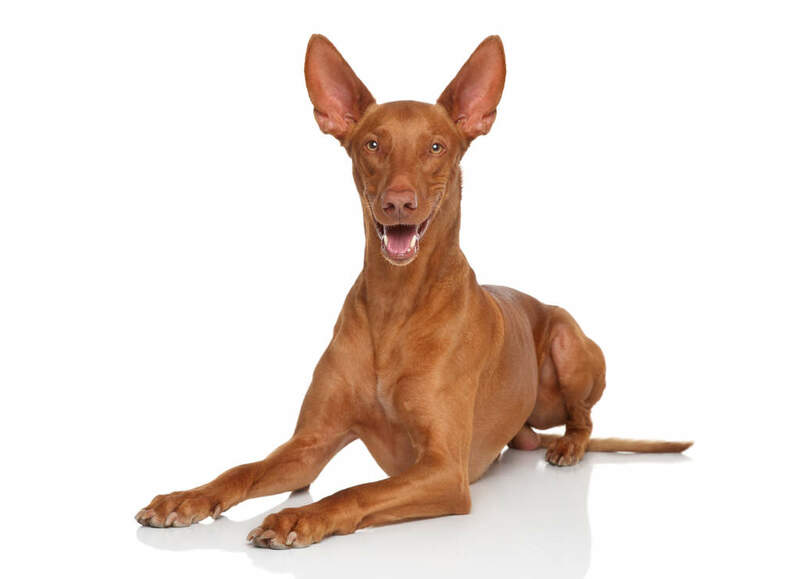 Health problems that may affect Pharaoh Hounds include bone fractures, allergies and epilepsy.